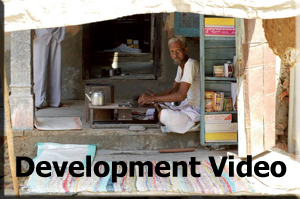 This OECD iLibrary theme subscription includes online access to all OECD books and databases related to international development from 1998 onwards. It includes the annual Development Co-operation Report and Geographical Distribution of Financial Flows to Developing Countries, the OECD International Development Statistics database, and all the other monographs on the topic. The annual report of the Chairman of OECD's Development Assistance Committee. It provides detailed statistics on and analysis of each member's foreign aid programs as well as an overview of trends and issues currently being discussed in the development community. This annual provides comprehensive data on the volume, origin and types of aid and other resource flows to around 150 developing countries. The data shows each country's intake of official development assistance as well as other officials and private funds from members of the Development Assistance Committee of the OECD, multilateral agencies and other key donors. Key development indicators are given for reference. The OECD International Development Statistics databases provide a unique collection of policy-relevant development statistics, including aggregate aid statistics, data on aid commitments from the Creditor Reporting System, Geographical Distribution of Financial Flows data, detailed aid statistics data and provides comparative data on gender equality. A subscription to this database also includes access to related annuals: Development Co-operation Report and Geographical Distribution of Financial Flows to Developing Countries. - Today, the average income of the richest 10% in the OECD is around 9.5 times that of the poorest 10% up from 7 times 25 years ago. - In 2015, more than 1 billion people still live in extreme poverty, on less than USD 1.25 per day. - Today, some poor countries spend more on subsidising cheap petroleum - around USD 500 billion annually - than on health and education combined.